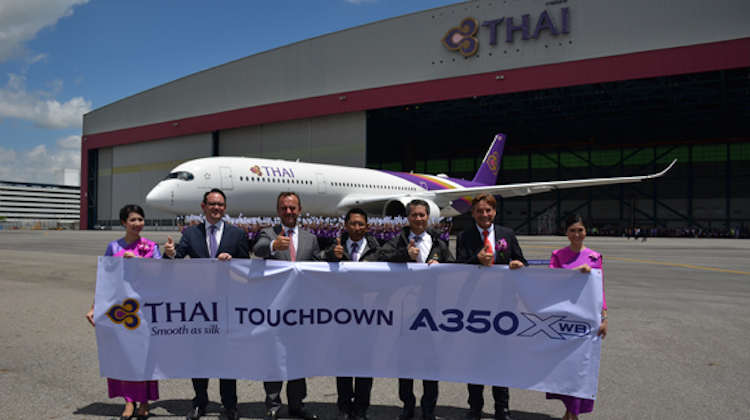 Melbourne is counting down the days until it receives a second Airbus A350-900 flight, after Thai Airways took delivery of its first of the type on Wednesday. 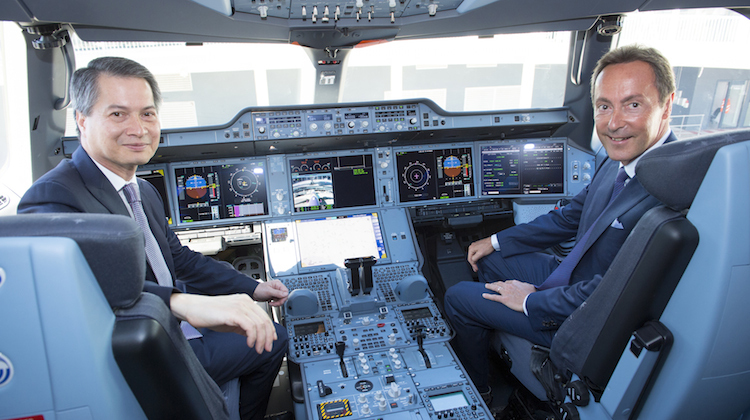 The Star Alliance member accepted the aircraft, HS-THB, at a ceremony at Airbus’s Toulouse facility before it was ferried to Bangkok. It is the eighth airline to receive the A350-900. Thai has ordered 12 A350s – four directly from the manufacturer and eight via aircraft leases. They are configured with 32 business class and 289 economy class seats. The aircraft, powered with Rolls-Royce Trent XWB engines and named “Wichian Buri”, would first be deployed on domestic routes between Bangkok, Chiang Mai and Phuket from September 4, the Airline Route website reported. Flights from Bangkok to Melbourne were scheduled to begin on September 16. 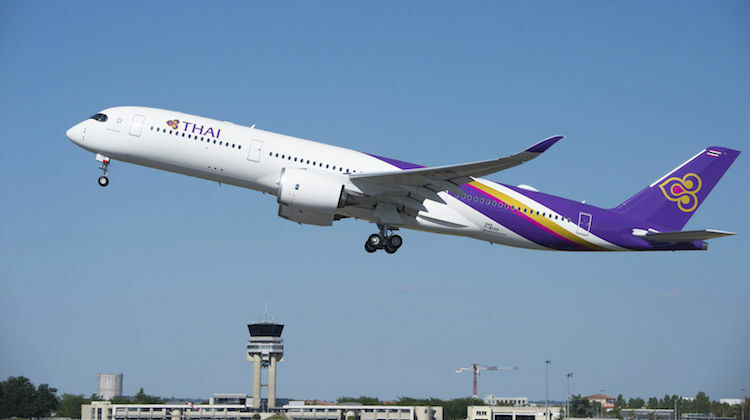 Thai’s TG465 service, the overnight departure from Bangkok and TG466, which takes off from Melbourne in the afternoon, were scheduled to switch over to the A350 from the Boeing 777-200ER on that day. The A350 will also replace the 777-200ER Thai’s second daily flight to Melbourne, the TG461/462 rotation which leaves Bangkok in the morning and returns from Tullamarine as a red-eye service, from October 1. 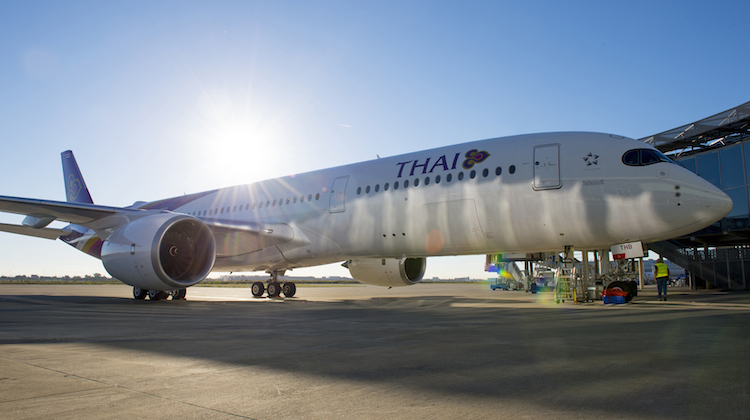 Thai will be the third A350 operator to Australia and second at Melbourne Airport. Qatar Airways started its A350 Adelaide-Doha service in May, while Singapore Airlines (SIA) commenced a short-season of A350 flights to Australia when its SQ207, operated by 9V-SME, touched down at Melbourne Tullamarine on August 10. SIA is keeping the A350 on the route until October 22. 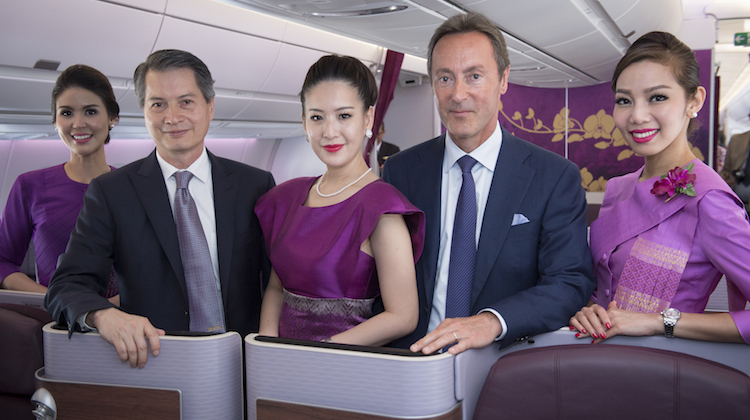 Well done both Airbus and Thai. I am sure all 50 A350 deliveries will be accomplished this year with this 35th example. Good to see Thai change to the A350.The b777 are starting to look old and tired on the inside now,can’t wait to fly the mel- bkk service. Hi Andrew, the story has been changed. it is four direct and eight via lease. Apologies for the error. It is a great aircraft from all reports , but what concerns me with Thai is the huge amount of aircraft types they have in their fleet.